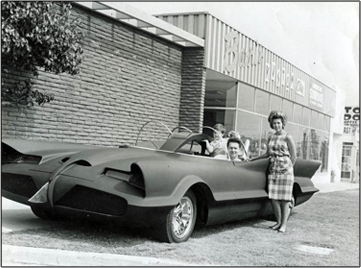 Before it was the Batmobile it was a 1955 Lincoln Futura concept car. 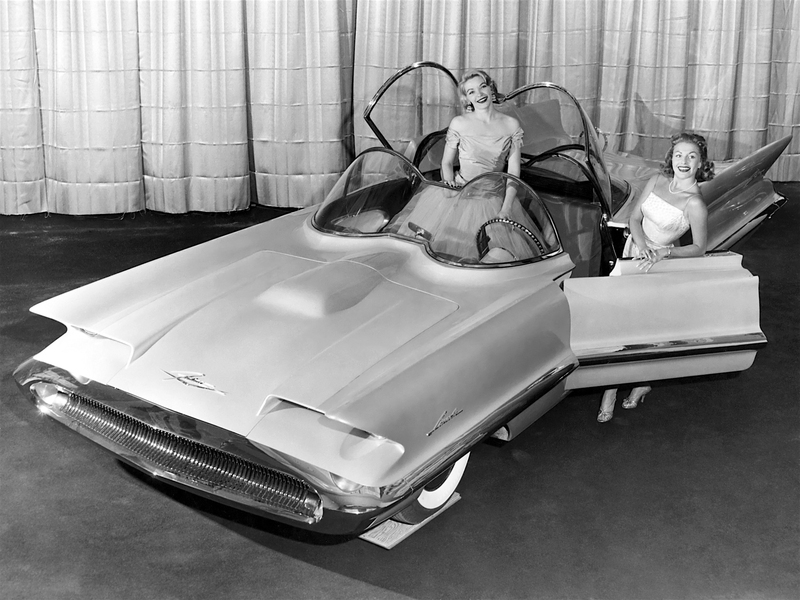 In 1955, the Lincoln division of Ford Motor Company designed and built a futuristic concept car called the Lincoln Futura. 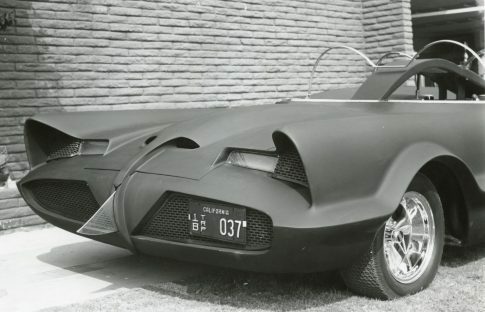 It was built entirely by hand in Turin, Italy at a cost of $250,000, and like many concept cars, was never put in to production. 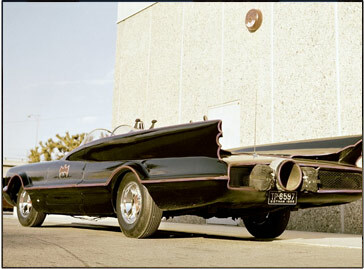 In the mid 1960's, George Barris of Barris Kustom City acquired the car for $1 directly from Ford. 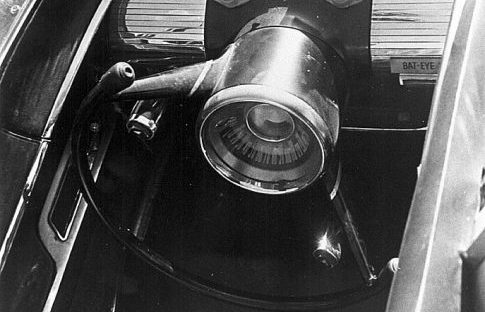 The front steel "slasher" blade was not seen or utilized during the TV show. 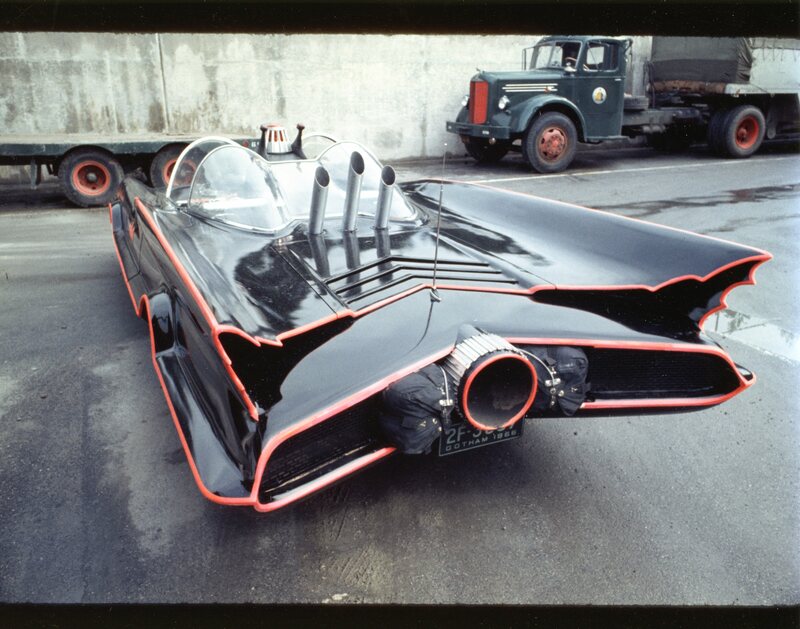 The blade was later removed from the car because the producers of the TV show thought it was too dangerous. 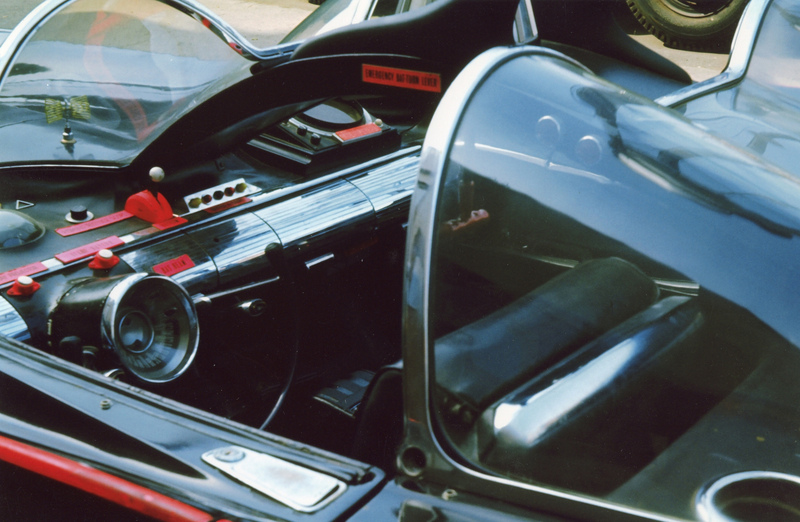 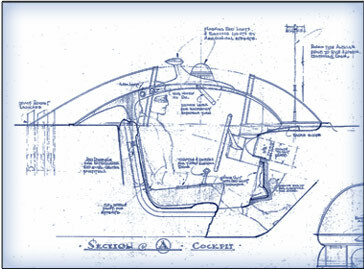 The original steering wheel was from the Lincoln Futura and modified to resemble the yoke from an airplane. 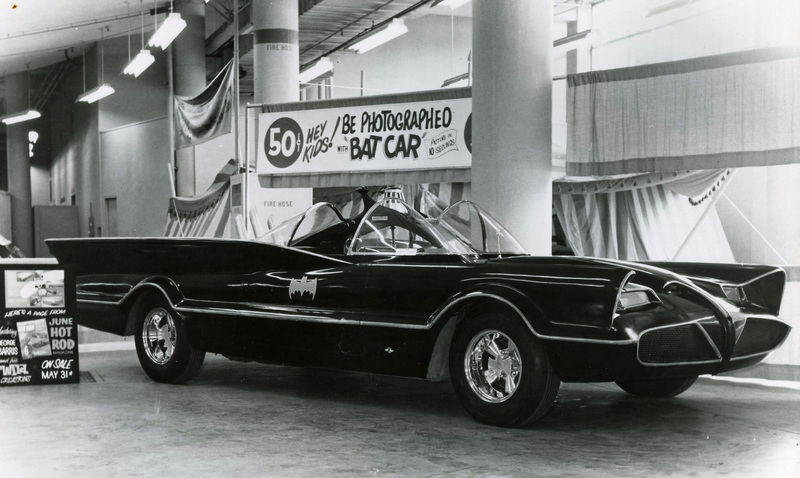 Adam (Batman) West complained it was too difficult to drive with the "U" shaped wheel, so Barris replaced it in '67 with a stock 1958 Ford Edsel steering wheel. 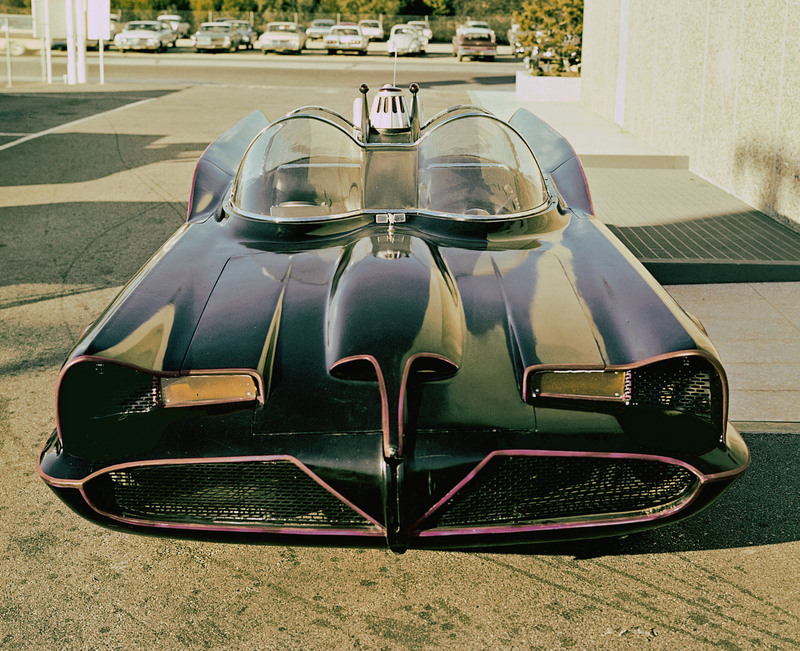 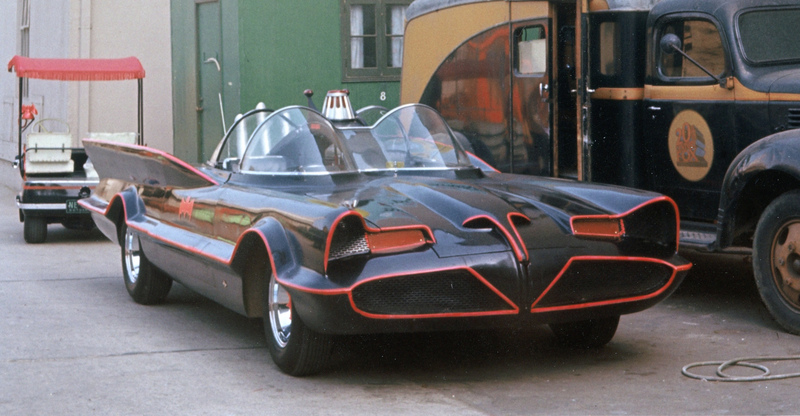 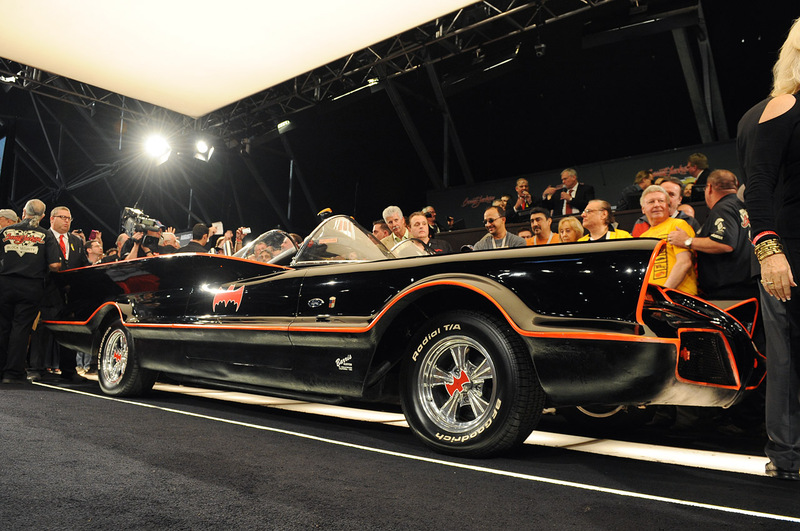 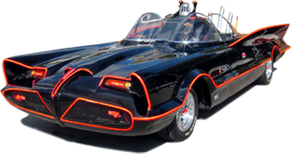 George Barris sold his Batmobile at auction in Arizona for $4,200,000 on January 13, 2013. 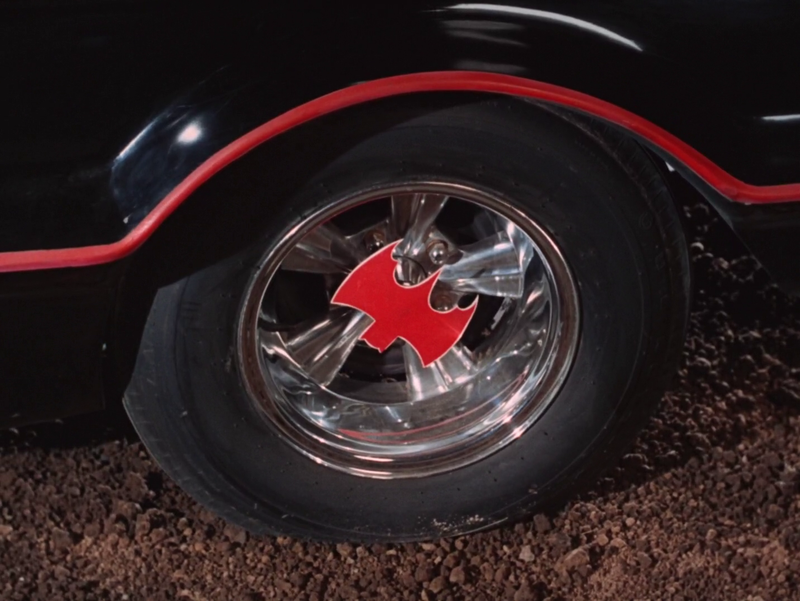 In the 1960's, the Batmobile wore 15" single-ribbed Rader Wheels. 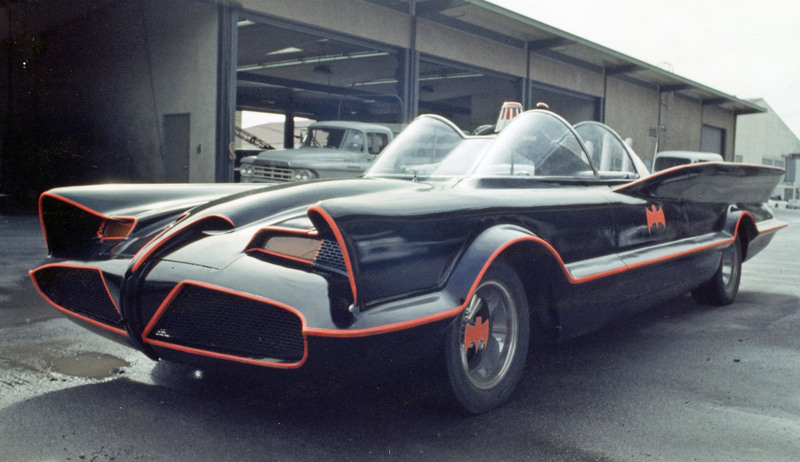 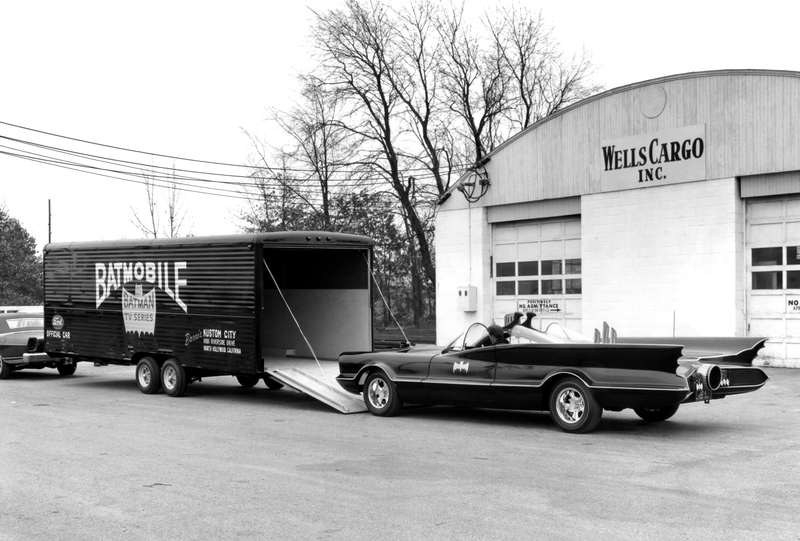 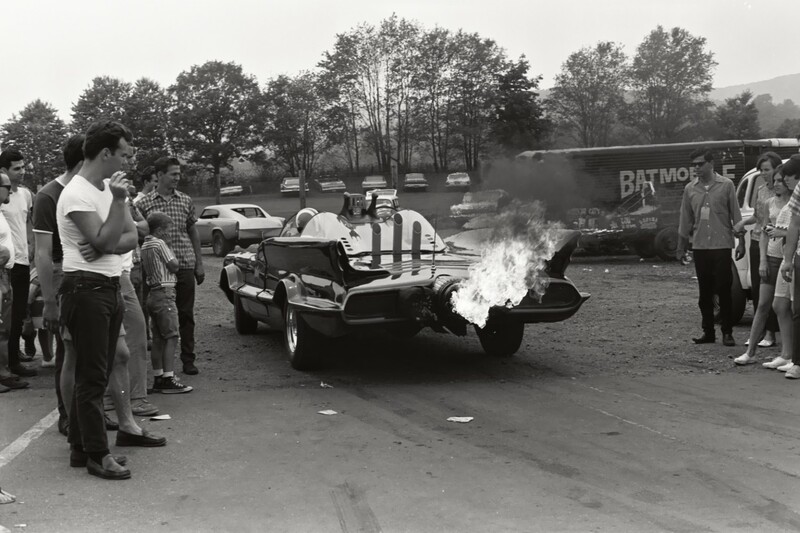 In 1966, Barris Kustom City took molds of the #1 Batmobile & created three replica Batmobiles. 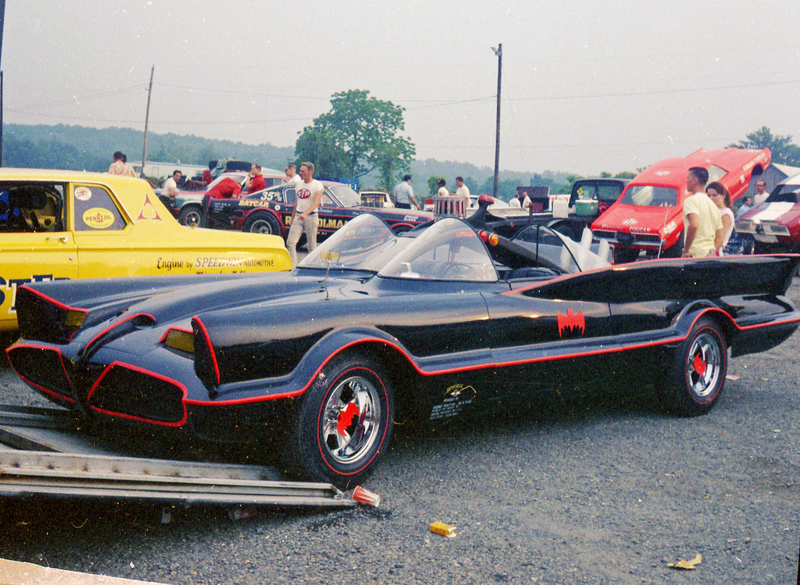 Each were unique in their own way and travelled the US and Canada to various car shows & events.